Many talk about 2005 being a boom year for Japanese film in the domestic market. The home product's share rose to 41.3% (up from a postwar low of 27.1% in 2002) as the box office take for foreign film continued its steady decline in absolute numbers (dropping 19% from its top figure of ¥143.486 billion in 2002). Seven films topped ¥3 billion in revenue (up from five in 2004, four in 2003, and two in 2002) and not all of them were animated flicks like Howl's Moving Castle or Pikachu the Movie: they were live action movies like Nana, Always - Sunset on Third Street, Train Man, and the two Bayside Shakedown spin-offs, Negotiator and The Suspect. Not everything was rosy, of course: the total box office was off 6% from the year before and all of the top seven Japanese films were distributed by Toho. The overall pie is thus not necessarily getting bigger, and many are not getting a good piece of it. But the movie business in Japan generally seems to be picking up, just at a time when the government has instituted new measures to promote filmmaking and film culture and when film schools are sprouting up all over the place. Could these phenomena be related? While it is too early to ascertain direct cause and effect relationships, it is clear that 2005 was an example of what policy makers were hoping for. In this article, I want to take a closer look at those measures and consider what it is they are hoping for - what they mean for Japanese cinema and those of us who study or actively watch it. Some of these policies represent a shift in the Japanese government's attitude towards film. In the postwar era, bureaucrats have tended to pursue a laissez faire policy regarding the movies. Up until around 1960, the motion pictures probably didn't need the help, since they were the kings of the entertainment world, but even after the industry went in decline, the government did not intervene, in part because of long-held beliefs that film was merely a crass entertainment unworthy of government support. Some policies, however, did help the film world in this era. Restrictions on exporting yen in the postwar effectively placed quotas on imports of foreign films, thus partially clearing away the competition and helping facilitate the golden era of the 1950s. A system for recommending good films to the public had existed from before WWII, and from 1990, the Japan Arts Fund began subsidizing certain film productions, although the conditions were strict enough that only the well-established - and thus the less needy - tended to get the money. It was in the late 1990s that the government started to rethink their policies towards film, primarily because it realized the increasing importance of multimedia or contents industries on a global scale. Laws were created and different agencies issued reports and recommendations that laid the groundwork for new state measures. On the contents front, the Strategic Council on Intellectual Property, chaired by Prime Minister Jun'ichiro Koizumi, released the "Plan for the Creation, Protection and Exploitation of Intellectual Property" in 2003, which laid the groundwork for the Content Promotion Law of 2004. Earlier on, the Diet passed the Law on the Promotion of Art and Culture (2001), providing the government a basis for new efforts to support cultural production. To investigate specific measures for film, the Committee on Film Promotion was formed in 2002 and made its recommendations in 2003. It established the framework for the most recent specific policies. The Committee on Film Promotion was put together by the Agency for Cultural Affairs, but had participants from various ministries and film institutions. There were representatives from large organizations such as the Motion Picture Producers Association of Japan, the National Association of Commercial Broadcasters, the Japan Association of Theater Owners, and the Japan Council of Performers' Organizations, as well as from smaller groups such as the Kawakita Memorial Film Institute, the Japan Film Makers Association, the Association of Scenario Writers Japan, and the Japanese Society of Cinematographers. The companies present ranged from the big (Dentsu and Pia) to the small (Kinema Junpo and Eurospace). Notable individual members included the director Junji Sakamoto representing the Directors' Guild, Etsuko Takano of Iwanami Hall, and the actress Yoko Tsukasa. Although they were not officially members, also present to advise the committee were bureaucrats from the Ministry of Education, Culture, Sports, Science and Technology, the Ministry of Economy, Trade and Industry, the Ministry of Internal Affairs and Communications, and the Ministry of Land Infrastructure and Transport. The committee was thus an ostensibly broad-based organization considering film policy from a variety of perspectives. These proposals became the framework for further moves by the government, even if not all of them were implemented word for word. For instance, the Agency for Cultural Affairs soon formed another committee to investigate two of the boldest proposals: the idea that a print of every film produced in Japan should be donated to the National Film Center, and that the National Film Center should become independent of its current parent organization, the National Museum of Modern Art, Tokyo. Its report, made public in September 2004, essentially concluded that both goals, while desirable, were currently unrealistic and deserved further investigation. Development of the "Japanese Film Information System"
The monetary amounts here are not that substantial (¥2.5 billion, or about $22.5 million, is far below the average budget for a single Hollywood film), but when combined with continuing funding sources such as the Japan Arts Fund, they represent a significant investment in cinema. Traditional institutions such as government and the universities are thus revealing a greater commitment to film production than it had in the past, particularly considering the sudden rise of local film commissions (over eighty film commissions have appeared since Yokohama established the first one in 2000) and the appearance of new film production programs at universities, most notably those at the Tokyo National University of Fine Arts and Music (where Takeshi Kitano and Kiyoshi Kurosawa teach), Rikkyo University and Ritsumeikan University. It is of course too early to tell if these new policies have contributed to the industry's recent success, or if in the long run it will fundamentally change Japanese cinema's basic business structure and fortunes. What we can ask now is what vision of film culture the government is offering through these policies. While there are many aspects we could explore, I want to focus here on what kind of spectatorship these measures envision. First, I think it is significant that there was a glaring lack of individuals on the Committee on Film Promotion who were not behind the camera or the projector (the exceptions were Shinken Yokokawa, a professor at Nihon University who has translated a few foreign film books, and Hiroko Sekiguchi, editor of Kinema Junpo); none of the famous film scholars or critics, or representatives of film circles, were represented. I think this relative absence is reflected in the Committee's proposals, which offer little or no place for cinema studies or criticism in the promotion of Japanese film (this is in contrast to South Korea, whose very active film promotion policies went along with the development of academic film study). The word "criticism" (hihyo or hyoron), for instance, does not appear once in the report. 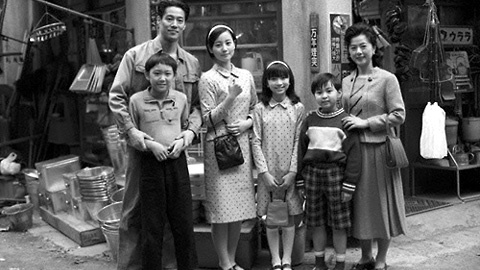 The "Film Plazas" and children's film showings are ostensibly aimed at increasing knowledge of Japanese cinema, but largely with the intention of bolstering the industry, spreading information about commercial product or fostering new movie consumers (some of the "Plazas" are meant to be established in the studios as part of a program to raise new film talent). The report mentions the need for children, at least, to talk about films after seeing them, but it gives no indication of what this discussion is to be about or who is to lead it. The film education promoted by the Committee is almost entirely instruction in filmmaking, not in film history or art, and even the National Film Center is never defined as a research institution (although researchers are employed there and other scholars, despite restrictions on film viewing found in few other national film archives, do perform research there). On the whole, government policies have defined cinema as content and as intellectual property, as commodities to be consumed by consumers. Although the Committee on Film Promotion's report praises film as an art, there is little sense that spectators are more than passive recipients of a given product; with the overwhelming emphasis on education in film production, film culture is here thought to be created by filmmakers, without the significant involvement of viewers. The latter factor mostly to the degree they pay money or figure as markers of a hopefully expanding market. This view is unfortunate given Japan's rich tradition of active spectatorship, starting with the coterie fan magazines like Kinema Record and Kinema Junpo in the 1910s and continuing through the cinematheques and film circles of the 1960s to 1980s. The lines between regular filmgoer, film critic and cinema scholar have often been vague in Japan, but by ignoring the tradition of intellectual critique that has helped bring these three together, recent policies both disregard this vital element in the vivacity of Japanese film culture, and effectively try to redefine this historically thoughtful spectator into a mere consumer. Such a dumbing down (one could say) of the viewer can only be counter-productive. If one of the aims of the Committee on Film Promotion was to elevate the social and cultural status of cinema, it makes no sense to ignore this rich tradition of criticism, or to yet again fail to promote thinking about cinema in the university, one of the official intellectual bastions that has long denigrated film, precisely by overlooking it as a legitimate object of study. Unfortunately, if film is to be elevated, it is only as a strategic industry, just like anime and manga, which were long objects of denigration by government and PTA groups, but are now celebrated by the state because of their economic success abroad. Such success, of course, would not be bad for Japanese film, especially if it helps people around the world see more of those movies. One wonders, however, how rich those films would be without a vibrant critical climate at home. That climate, unfortunately, has been severely weakened over the last decade. The number of film magazines has drastically declined since the 1970s and good critics, both professional and amateur, lack of avenues for publishing extended film criticism. What has replaced this activity is internet commentary. While the best of the internet film sites remind one of the coterie magazines of the Taisho era, most of them reduce discourse on cinema to "thumbs up/thumbs down" responses that are all too well-aligned with consumerist modes of reception (where you either "buy it" or you don't). I don't think it is stretching it to link this to a larger decline in the culture of critical thinking in the Koizumi era. As Japanese neocons try to force teachers to sing the national anthem, removing even silence from the arsenal of critical activity, or to institute press restrictions in the name of protecting privacy or national readiness, neoliberals have attempted to transform many arenas of Japanese life into sectors defined by competition, rendering even ideally non-economic entities such as the university into corporate worlds. In these realms, independent critical thought is as welcome as it is in the strictly hierarchical Japanese corporate office. This is in the interests of national competitiveness in the global sphere, so while a certain amount of internal competition is considered healthy, such activity, as calls for an end to the teaching of histories critical of Japan to school children show, is not allowed undermine the overall goals of a unified Japan, Inc. Perhaps understandably, new film policy is then part of a larger effort to bring the previously undervalued industries in the multi-media arts into the national economic effort, but as I have written in Japan Focus with regard to some of the recent war films, this is not unaligned with the political desire to realign cinema with the nation, to remake the playing field so that Japanese filmmakers can do entertaining war films with Japanese soldiers killing villains just like in any other country, unhindered by pacifism or worries of wartime guilt. Echoing neocon calls for Japan to become a "normal country," the hope for some is that Japanese cinema becomes a "normal cinema." Ironically, the model for what is normal in this new cinematic nationalism is invariably the United States and Hollywood. Perhaps it is inevitable that government film policy would ultimately ask for a return on its investment in terms of national gains. All of those involved in cinema policy are certainly not bent on making Japanese film more nationalistic, but the concern that any official measures, even if done in the name of film art, tend to render cinema more beholden to official dogma, was one reason prominent figures like Nagisa Oshima have long opposed concerted government aid for filmmaking. Given the difficult position of the industry in Japan, especially when compared to the all-out national support given to the Korean film world, one perhaps cannot blame some producers and filmmakers for desiring more assistance. If they were to receive such support, one would at least hope for self-critical awareness of the problems with such aid, but that, ironically, is not easy when the policies themselves do not promote critical thinking. Such thinking should be one of the main roles for film critics, both amateur and professional: to align with individuals in the industry and think independently about where Japanese cinema is and where it should be going. It is encouraging that there are still some active sites for film criticism, ranging from Eiga Geijutsu to nobody to Midnight Eye, and that academia has, sometimes in spite of itself, produced some good film study programs (Waseda, Meiji Gakuin, University of Tokyo, Nagoya, etc.) and some bright young scholars in recent years. Promoting Japanese cinema is something all of us can get involved in, but instead of only focusing on what the government can do for film production, we need to also ask ourselves what we can do for film viewing - with or without the help of national bureaucrats. It is only when we can see a vibrant relation between cinema and its viewers that we can really consider it a boom year for Japanese film.